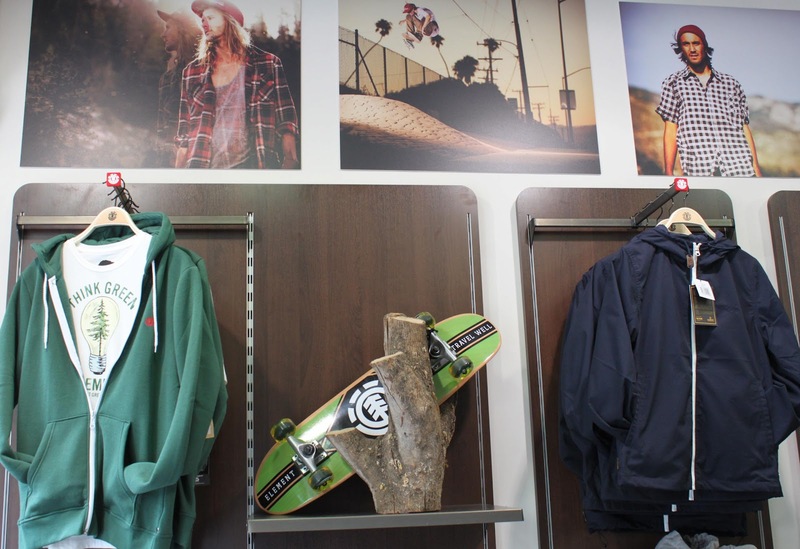 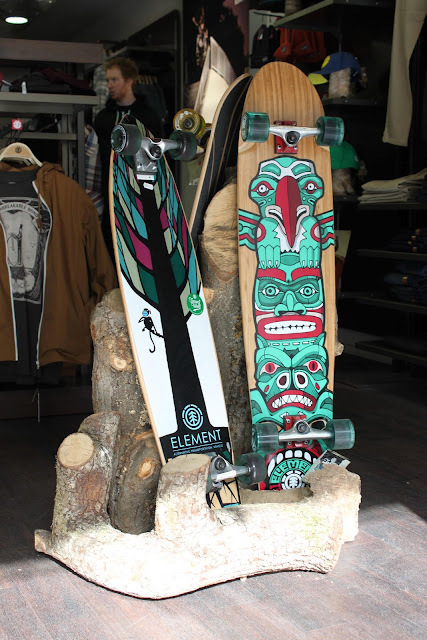 Rob from 2 Seasons Bristol store told me about the Billabong style that is down to earth and laid back, using elements from nature in the shop displays, letting the products do the showing off. 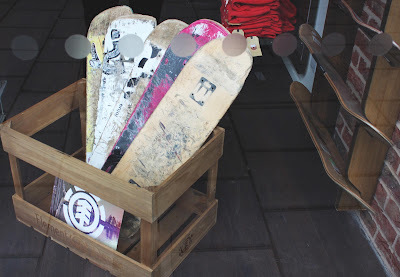 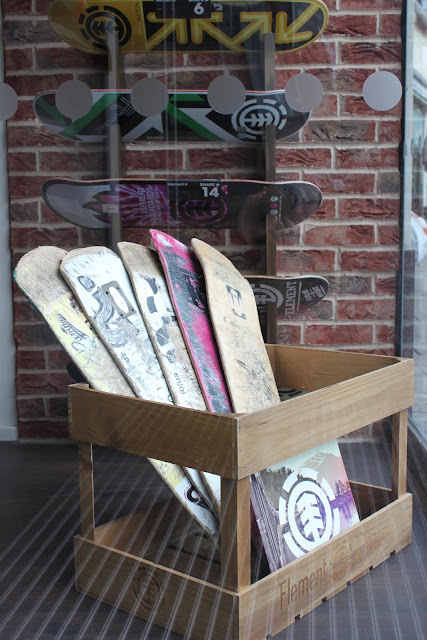 Many of the products being for ski, skate and surf, the displays reference the great outdoors in imaginative ways. 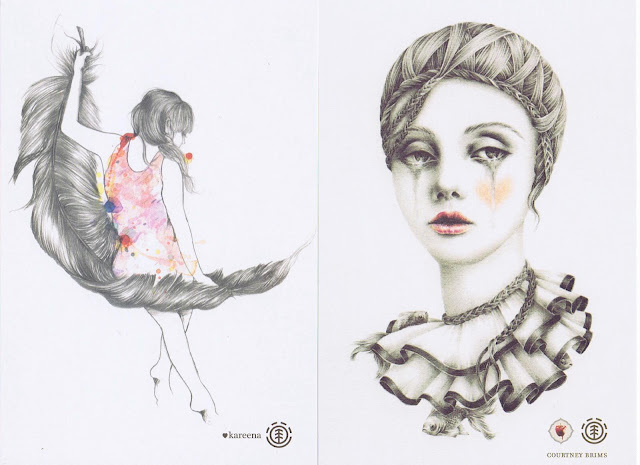 I also really liked the postcards hanging out in the womenswear section by artists and illustrators which epitomize a youthful and iconic look. Carefully crafted they have detailed lines with splashes of colour and loose free watercolour brush strokes. 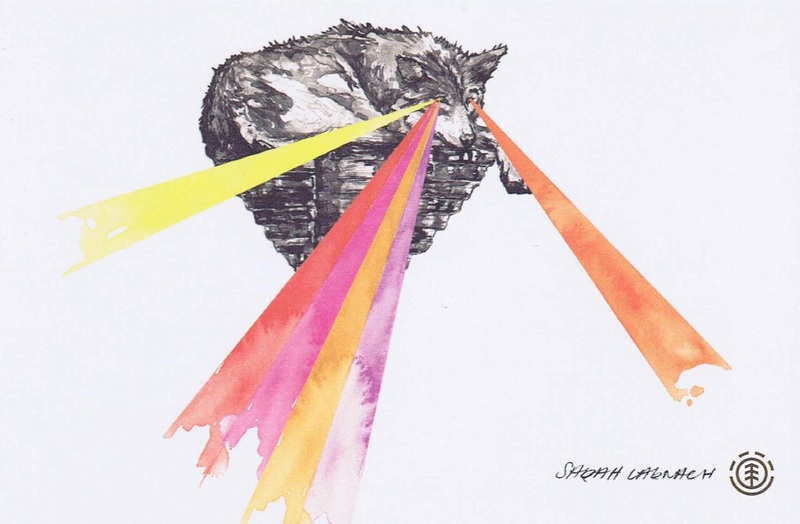 Particularly like the lazer eyed wolf hound slumped casually on a levitating outcrop of rock and the Kate Bush Ruffles and pleated hairstyle, though wish the girl wasn't so melancholy, chin up luv, its International Women's day, just look at the wolf that should make you smile.